This is a basic guide on getting started with Tech Reborn. To get started with Tech Reborn you want to craft yourself a Tree Tap . Once you have acquired one you can begin to look for a Rubber tree. 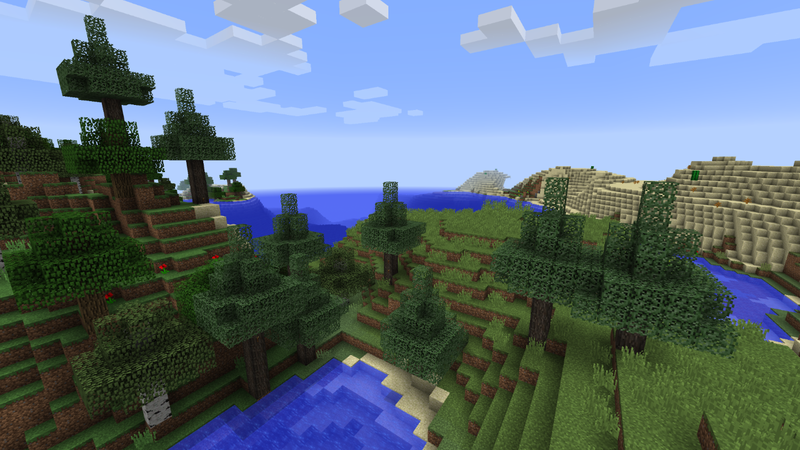 This is an example of what the rubber trees will look like in the world. Once you have found a tree you need to look for sap spots on it. Sap spots will regenerate over time. 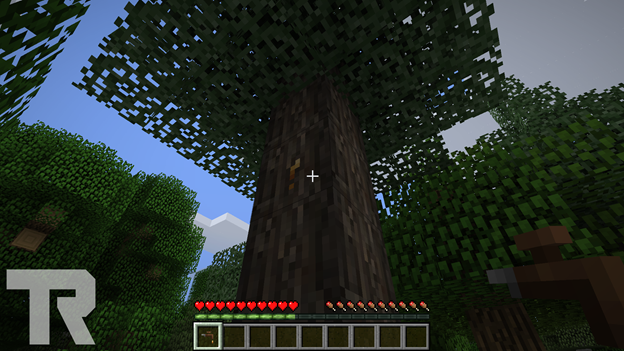 When you have found a sap spot you will want to right click it with the Tree Tap, this will extract the rubber into your inventory. As a starting point you will want to make will be a generator of some kind. This can be from another mod, or you can make a TechReborn Generator. The generator uses a solid fuel type to generate a small amount of power. You will need to get your self some cables to transfer the power between blocks. Please note that if you're using generators from other mods then this can affect balance in gameplay. Some generators might use other energy types which may either be over or under powered. The first machines you might want to look into building are the Electric Furnace and the Grinder. If you place these next to the Generator you first build you won't even have to worry about power distribution because the Generator automatically powers blocks which are directly next to it. The Electric Furnace will allow you to smelt much more items using the same resources. For example: 1 piece of coal will smelt 8 iron ore blocks in a regular furnace, 10 iron ore blocks in an iron furnace and 49 iron ore blocks in an Electric Furnace powered by a Generator. The Grinder allows you to grind ores into Dusts which you can then smelt back into Ingots. One ore block gets you two dust and one dust can be smelted back into an ingot. Effectively giving you a good way to double your mined ingots. Beware when breaking machines, as most of them you will need to use a Wrench to ensure that you get the original machine back. If you do not use a Wrench you may only get the Standard Machine Casing back that was used to craft the block. You have been warned! All of the machines can be configured to accept or output items to any side. This can be done by clicking on the “Configure slots” button in the gui of any machine. When this button is clicked all the slots that can be configured will be displayed in red. When you click on the slot you wish to configure you will be greeted with a popup gui that allows you to change a wide range of things for that slot. This system should allow you to do some complex automation with pipes from other mods and hoppers from vanilla. The system also have auto input and output, when enabled the machine will try and move the items around to neighbouring inventories. Input slots have a setting to filter the input, this setting means that the slot will only accept items that have a valid recipe. This is really useful as it allows you to use one chest for input and output in some cases. This page is still being written, more content will come soon.